EB: His ‘miracle’ is that has built up his race weekends very cleverly. At the start he needed a while to get back up to pace and he probably didn’t make the best out of qualifying. But in the race he proved himself to be a very good finisher. He had so many podiums in a row. And about his metamorphosis, maybe it’s because he is getting older? Can I say that? I can at least say he’s more experienced and more mature. (laughs) I think another reason for the change might also be that he is happy with his environment. I think he likes it around here. Q: The general opinion is that Lotus will win this year. So which race are you going to win? Q: What about your 2013 driver line-up? When will you announce it? Will it be Raikkonen and Grosjean again? EB: I think it will look pretty much the same as what we have this season. With Kimi we have a two-year contract, with an option. 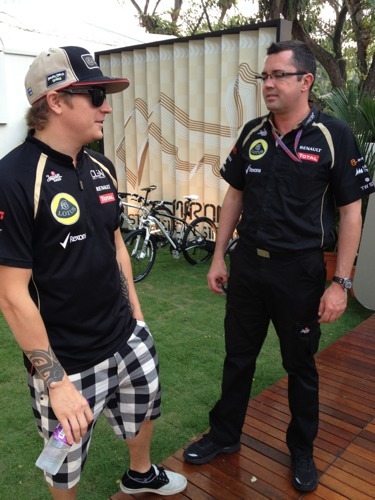 Q: If you were playing devil’s advocate, what would persuade Raikkonen to stay or indeed leave Lotus? EB: First of all you need to make sure that your drivers want to race for you and that should answer your question. I would say that Kimi feels very good here. Q: If he hadn’t decided to make a comeback with you, what was your Plan B? EB: Ah, we had many plans. They probably weren’t so good though. There’s no question that it was a pretty cool move to get Kimi on board. We get more than the sporting results. He has brought motivation back into the company. You can feel that people admire him. Admiration can do fantastic things and it’s something that we never anticipated before. Sponsors, for example, love him, even though they know about his reputation for being a person who is difficult to handle. But that in itself is no issue at all. Kimi is playing the game. So the whole package, the whole momentum, is what makes us move forward. EB: I think it was (team Chairman) Gerard (Lopez). We had a meeting with our senior staff to speak about the future of the team and we had a list of drivers that we were thinking of signing. Kimi was on the list. 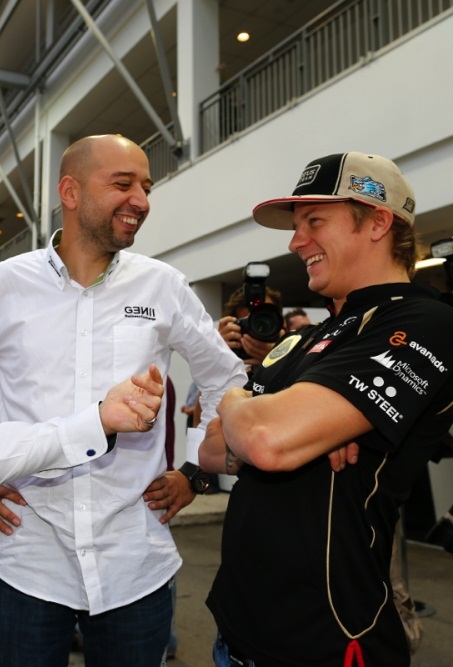 I think that Gerard wanted Kimi more than anybody else – and he pushed for it. In fact it was a very simple, rational discussion. Q: In an ideal world where would you want Lotus to finish the season? Would Lotus deserve it? EB: In an ideal world we would finish second in the drivers’ championship. And we would deserve it. Everybody in this team would deserve that position. I like first picture that you chose for this article about his maturity =)) He looks like a school boy who takes nothing seriously. Sponsors, for example, love him. I live in Indonesia and lately Kimi shows on our TV for Clear shampoo commercial, an unusual sight.